Christmas Arrives at Castle Howard. From Saturday 28th November – Sunday 20th December the magnificent 18th-century Castle Howard, near York, will be lit by roaring fires and candlelight. Giant Christmas trees will dominate the Great Hall and Long Gallery, each decorated with over 1,000 baubles, as well as the display of traditional Christmas 'twigs' - all decorated by the Hon. Simon Howard and Mrs Howard. Beautiful decorations, seasonal displays and garlands will all add to the magic. 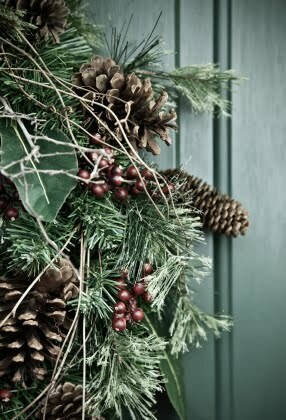 Musical performances will take place daily and families can enjoy discovering the House and decorations with our children's Christmas Trail, as they hunt for 'Figgy Pudding' and friends! Take the Christmas Express to visit Father Christmas at his Lakeside Grotto, every weekend during the Christmas opening, where every child will receive a gift appropriate to their age. Visit Father Christmas on the following days: Saturday 28 and Sunday 29 November, Saturday 5 and Sunday 6 December, Saturday 12 and Sunday 13 December and Saturday 19 and Sunday 20 December 2009. Tickets to visit Father Christmas cost £5.00 per child, whatever their age (including Annual Pass children) - which includes a gift and access to the Lakeside Cafe, and Adventure Playground. Adults accompanying children are free of charge. If you wish to visit the House additional tickets are required. In the Stable Courtyard browse two delightful festive markets - Christmas Art Market on Sunday 29 November and a Christmas Local Produce & Craft Market on Tuesday 8 December Wednesday 9 December and Tuesday 15 December - open from 10am with free admission. For further details about Castle Howard click here. 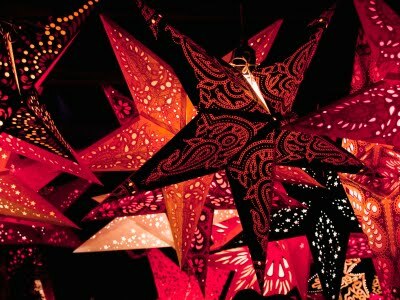 Visit the popular St Nicholas Fayre in York. Between 26-29 November York's biggest and most popular Christmas market, St Nicholas Fayre, hosts traders from across the region and the rest of Britain to offer fresh and unique gifts as well as the very best of Yorkshire produce. Open air markets stretch across the city centre's main squares and into the historic halls in the city, with the Made In Yorkshire craft market within the Guild Hall, a further craft market at St William's College and an unusual medieval market within the rooms of Barley Hall.Parliament Street stalls will offer handmade gifts by craftspeople and artists from across the UK, with breaks in the stalls for warming punch, hot chocolate and chestnut sellers. Get your skates on in York from 14 November 2009. Right in the centre of historic York, overlooked by the spectacular facades of 13th Century Clifford's Tower, the Law Courts and the Castle Museum, York’s open-air real ice rink, The Ice Factor, returns for it fifth successive year. At night, the rink positively sparkles with its floodlit surroundings and the numerous Christmas trees and cabins around the rink garlanded with lights too. The Ice Factor has a public viewing area and a heated skate hire marquee. 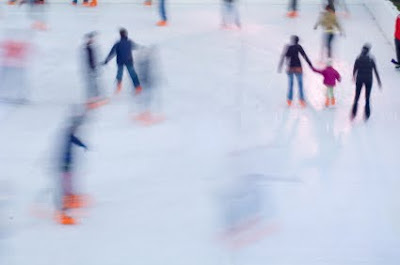 Situated right beside the ice rink, the glass-fronted, heated Ice Bar & Café is the ideal spot for those who don't wish to skate but want to watch the fun outside. 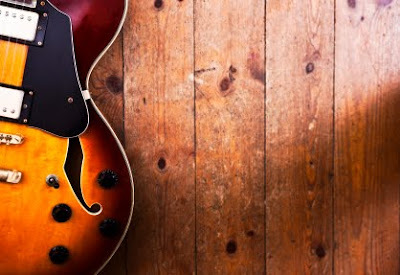 The National Trust hosts a Blues Night at Nunnington Hall in North Yorkshire. On 21 November 2009 Steve Philips, one of the country's foremost blues guitarists and former member of the Notting Hillbillies, will be performing at Nunnington Hall. The event takes place from 19.00 – 21.15. Gates open at 18.15. 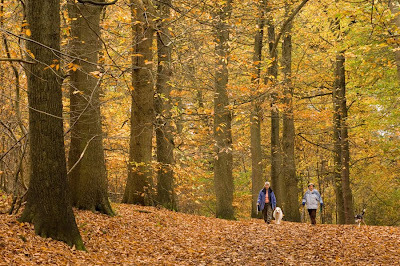 Autumn Walks through Dalby and Cropton Forests, North Yorkshire. It has been so busy here at Flamborough Rigg cottage B&B this summer that we haven’t had as many of our favourite epic forest walks as we might have liked. We know Phil and Caroline have been busy looking after guests so we forgive them. They are making it up to us now as things are slightly calmer and who can resist the stunning Yorkshire forests in autumn. There have been walks to some of our favourite pubs including the White Swan in Newton under Rawcliffe and the Horseshoe Inn in Levisham. The forests are knee deep or doggy nose high in golden leaves. Katie, Lily and I have had great fun playing hide and seek, diving under the mountains of leaves and then pouncing out on Phil and Caroline. As you can see from our photo lots of people are out having as much fun as we are! Hedge Laying Workshops in North Yorkshire. The North Yorkshire Moors National Park Authority are hosting a couple of two-day workshops in the traditional country craft of hedge laying. It will take place on the National Park’s Levisham Estate close to the market town of Pickering in North Yorkshire. You will be wielding billhooks - very sharp hand tools - and finding out all there is to know about pleachers. Aimed at aged 18+ but 16 and 17 year olds may take part if accompanied by a paying adult. On 7 and 8 November 2009 the National Trust at Nunnington Hall, North Yorkshire, will be displaying the winning entries from the 2009 British Wildlife Photography Awards competition. 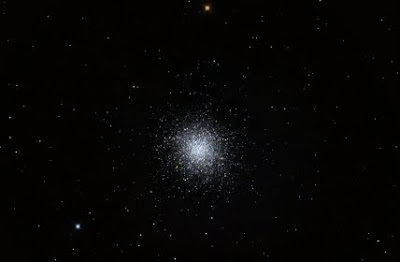 This is an excellent opportunity to see these stunning photographs up close. For further details on Nunnington Hall click here. The NSPCC Castle Howard Christmas Fair is taking place on Friday 6 November from 9.30am to 3.30pm with over 50 stalls selling a range of goods for adults and children alike: from toys, swimming pool games and children’s books to traditional Yorkshire food stalls, clothes, jewellery, home wares and pet gifts. The annual event attracts over 1,200 visitors and hopes to raise £35,000 for the NSPCC, who run vital services for children across North Yorkshire. The admission fee of £7 includes entrance to Castle Howard house and the gardens. Buy your ticket on the day from the Castle Howard Ticket Office, with all the proceeds being donated to the NSPCC. Your ticket includes admission to the house, gardens and adventure playground. Please note that pushchairs, prams and buggies are not allowed in the House. 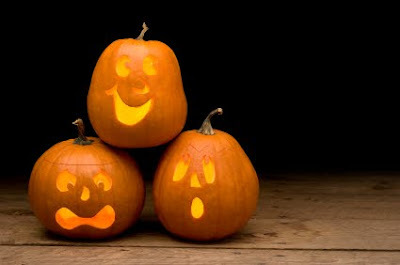 Halloween Events for all the family in North Yorkshire. We are planning to celebrate Lilys first Halloween in style here at Flamborough Rigg Cottage B&B. Sadly, so far, we have had no success in catching bats to hang up in our kennel but we have been collecting some lovely spiders, Phil will be soooooo excited when he sees them. Meg has her eye on a lovely pumpkin in the vegetable garden which we are hoping Caroline will carve for us ready for our spooky kennel party! We might even invite the pesky witches cat, especially if she promises to arrive on a broom. For those of you who can’t make it to our kennel party here are some of the exciting events happening throughout North Yorkshire for Halloween. The lovely people at the National Trust have organized a Witches Brew Halloween Trail - frogs' legs, bat's blood, a witch's ball and other gruesome ingredients await. Treats not tricks are on sale in the tearoom. Fancy dress optional! 24 October – 01 November 2009. Spiders are brilliant! Discover why on a self led trail through the grounds. Spot the giant willow spiders to solve the answers to your questions and to claim your spidery prize. Drop in anytime. RHS at Harlow Carr near Harrogate. The Royal Horticultural Society have a fun packed day at their gardens at Harlow Carr to celebrate Halloween. An all day Pumpkin Quiz Trail. Pumpkin Competition. For your chance to win a Ghoulish Halloween Goody Bag – bring your carved pumpkin along and enter it into our pumpkin competition. All the pumpkins will be put on display and be illuminated by candle light on Saturday 31st October. Winners will be contacted by telephone after the event. For some exciting Spooky Mask Making join the experts at Scarborough Art Gallery. Taking inspiration from portraits of some of Scarborough’s past inhabitants create your own spooky Halloween mask for a night of trick-or-treating. At this drop-in session children of all ages will be able to make their own mask, but what will their mask say about them? Children who come in fancy dress will get a tricky treat! Beningbrough Hall and Gardens near York. Another great Halloween event. Join the learning team for pumpkin art from 13.00 – 15.00. Also enjoy some Autumn pumpkin recipes in the restaurant & guess the weight of the giant pumpkin. Don stout shoes to join a spooky walk hour long walk setting out from the Dalby Forest Visitors centre. Be prepared for spooky stories and ghostly japes. A torch will be useful (but be prepared to switch it off as instructed). Warm, waterproof clothes are essential or join in with fancy dress. Free fun and games await you upon your return to the visitors centre. Walks set off every ten minutes and last approx 1 hour. Start time 5.00pm. Last walk departs 8.30pm. All manner of horrible - and yet strangely delicious - things are on offer as part of Nunnington Halls special Halloween menu. Highlights include Batskin biscuits and 'blood' soup. Follow spooky clues and answer the ghostly questions on this Halloween trail at Brimham Rocks. If successful you will find your way to find the horrible answers at the haunted house. Getting to know the birds of North Yorkshire with the experts. The North Yorkshire National Park Authority invites you to join one of their senior rangers for a fun and informative afternoon getting to know more about local birds. The afternoon will include some time bird spotting in Crow Wood and then once you are a fully fledged bird spotter you will make a bird feeder back at the Centre. You will receive a bird spotting survey form so that you can carry out your own survey at home. Meet at the Moors National Park Centre, Danby. The event takes place from 13.30 – 16.30. Half Term excitement for the kids at the National Railway Museum in York. At the National Railway Museum in York enjoy an action packed October half term, with steam rides on Furness 20 and plenty of 'Cunning Inventions!' There will also be craft activities, live science shows, storytelling and the Platform4 Theatre at the weekend. From 24 October – 02 November 2009. Don't miss your opportunity to ride on Furness 20 in the South Yard, one of the oldest working steam locomotives in the world. Furness 20 is an amazing 146 years old, its had a remarkable life both during its ninety seven year career and after its retirement in 1960 and has even made it onto the big and small screen! Explore 'Cunning Inventions' in the Warehouse at 12:00 and 14:00 each day with an introduction to Brennan's Gyrocar (a cunning invention that never took off!). Or celebrate the 180th anniversary of the Rainhill Trials by getting creative with craft activities based on Stephenson's Rocket. Build your own model of Rocket with moving parts, running from 11:00 to 16:00 under Percy Main Bridge in the Great Hall. Enjoy our fantastic new show 'From Rocket to Bullet - the science of how trains move!' in the Learning Platform. The kids will also love 'Clickety Clack', our interactive railway story which explores the sounds of the train as it travels from London to Scotland (suitable for under 6s). There will be six events per day (10.45, 11.45, 12.45, 13.45, 14.45 and 15.45) throughout the week. Please refer to the daily diary at the admissions desk on your arrival for further information. All the Fun at the Fair. Enjoy the NRM'S fairground rides every weekend throughout September and October and throughout October Half Term! Why not go dizzy around the carousel and whizz down the helter skelter! The rides are available 10am to 5pm and a charge of £1.50 per person per ride applies. Admission Free for all learning activities. A small charge applies for rides on Furness 20. The Executioner Arrives at York Castle Museum! On 24 and 25 October 2009 the executioner will be based at the York Castle Museum. The 'executioner' - William "Mutton" Curry - will be equipped with a 12ft high gallows and all the tools of his gruesome trade and will delight in explaining the varying forms of punishment he uses. He will also recount the nature of crime and punishment in the time of the Bloody Code in the late 18th and early 19th Centuries when criminals could be hanged for 220 or so offences that carried the death penalty. All visitors to the museum had better be on their best behavior! The Great Fossil Hunters of the North Yorkshire Coast. The excellent Rotunda Museum in Scarborough has planned a number of exciting fossil hunts for the Autumn half term week. I wonder if they could benefit from the fine nose of an expert hunter like me. I will be on the slipway at Sandsend ready to offer my services, see you there! Bring the whole family along on this expert-led fossil hunt and find the ammonites that were once food for the mighty Plesiosaur. Be prepared to walk along the shoreline in search for these precious fossils. Meet at Reighton Sands Holiday Park car park. On this expert-led fossil hunt you will find fossilised creatures that once filled the oceans during the Jurassic period, 180 million years ago. Meet on the slipway to the beach. 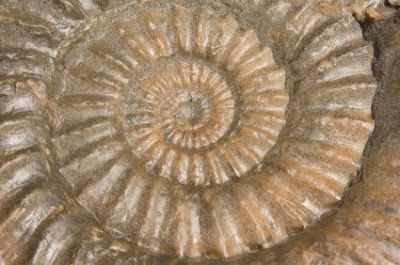 Come along on this expert-led fossil hunt and find the ammonites that were once food for the ferocious sea reptiles. Be prepared to walk along the shoreline in search for these precious fossils. Meet on the slipway to the beach at Runswick Bay. The Sutton Bank National Park Centre for the Autumn half term week. During the self guided trail learn about these amazing creatures and upon completion claim your prize. All children must be accompanied by an adult. The trail is available from 24 October – 01 November from 10.00 – 17.00. An Evening of Clairvoyance at Nunnington Hall, North Yorkshire. On 28 November 2009 the National Trust invite you to join them for an evening with the psychic and medium Joanne Gregory. Joanne is recognised as an extremely gifted clairaudient medium with a strong reputation for accuracy with clients and audiences across the world. She has appeared as a guest medium on a number of programmes with Living TV's 'Most Haunted'. Gate open at 18.15 and the event will run from 19.00-21.15. Join the North Yorkshire Moors National Park education activity leaders on an autumn walk up to the moors. Fill in your very own autumn watch activity book along the way, recording sights and sounds of autumn. The walk will cover a distance of 2.8 miles. All children under 9 to be accompanied by an adult. Places are limited so book early to avoid disappointment Tel 01439 772738. Meet at the Moors National Park Centre, Danby, 13.30 - 16.00. 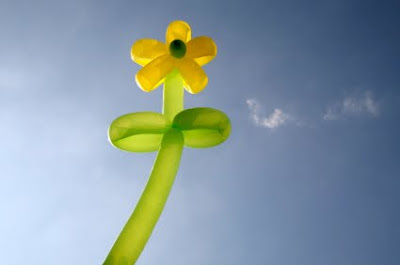 The National Trust needs your help to create Tulip Mania in York! 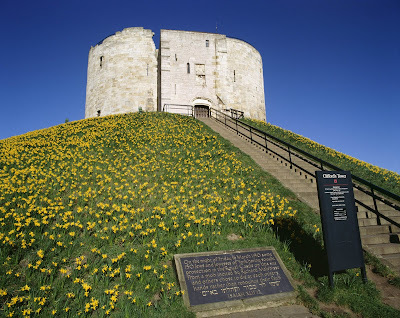 During the Autumn half term week 24 October 11.00 - 1 November 16.00 the National Trust are inviting visitors to plant a tulip bulb in the garden borders of the Treasurer’s House in York. 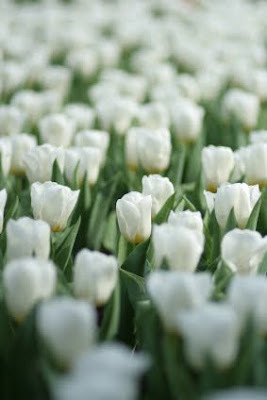 You will then receive an email in the spring with a picture of the thousand Tulipa 'White Triumphator' flowering. Alternatively you could revisit the Treasurer’s House and North Yorkshire once again to see the results of your work. On 20 October 2009 John Simmons OBE VMH, formerly the Curator of Kew, will give an illustrated talk in which he will describe several of the interesting, and also some veteran trees he has seen and collected in remote parts of the world or grown in gardens. After the talk he will lead a walk in the arboretum looking at a number of the more botanically valuable and rare trees now established there; some for the first time innorthern England. Bookings can be made through The Arboretum Centre Ticket Desk. Telephone (01653) 648598 . Escorted walks in Yorkshire during October and November 2009. Join the experts to explore just a few corners of this beautiful county. Let the guide walk and talk you through the last 320 million years on a 90 minute journey round the rocks and moorland. Booking not needed. Meet at the NT car park at Brimham Rocks for a 14.00 start. Organised by the North East Yorkshire Geology Trust enjoy this guided walk along Sleightholme Dale. Follow the line of the dale before crossing Otterhill Common and Otterhills. Lots of water and perhaps wildlife too. 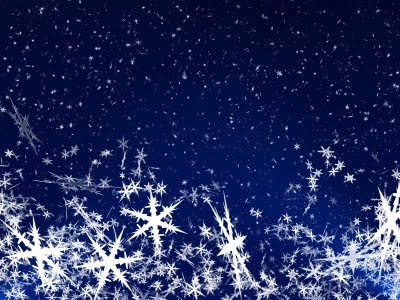 Meet at Green Lane, Sleighthome Dale (SE 660 896) for the walk that will be from 12.00-16.00. For further information contact them on 01947 881 000 or email contact@neyorksgeologytrust.com. Another walk organised by the North East Yorkshire Geology Trust. This time it is a guided walk along Fangdale Beck: Last but not least we follow the route of the River Seph in Bilsdale before climbing up Coniser Howl. Spectacular views throughout. Meet in the village centre (SE 569 947). The walk is from 12.00-16.00. For further information contact us on 01947 881 000 or email contact@neyorksgeologytrust.com. Join the North Yorkshire Moors National Park (NYMNP) Voluntary Ranger Kim Peacock on a 3 1/2 mile walk. The route will take in part of the old railway line from Whitby to Scarborough, Gnipe Howe Farm, Cleveland Way, Limekiln Slack and White Horse Cliffs. Spectacular views await. For full details call on 01439 772738. Meet at the Trailways Cycle Hire centre near Hawsker. Joining the NYMNP Ranger Matt Fitzgerald for a peaceful 4 mile walk using pleasant field paths, tracks and quiet country lanes with superb views of Little Fryupdale and the River Esk. Meet at the Moors National Park Centre, Danby, 10.00-12.30. Voluntary Ranger Tony Auckland takes you back to a time of glaciers, snowfields, lakes and the sudden appearance of a 250 feet deep gorge. So wrap up warm because it's bound to be chilly on this 1 1/2 mile walk. There will be tea and biscuits after the walk courtesy of David and Lisa Wheeler. Meet at Osborne Lodge, East Ayton, YO12 5TG (SE 986869)> the walk will be from 13.00-14.00. It's Shark Week at Scarborough Sealife and Marine Sanctuary. In support of European Shark Week, Scarborough Sea Life Centre the team will be introducing a brand new talk for the week with amazing facts about sharks. ""Most people don't know a great deal about sharks so we will tell them some great fishy facts including that a sharks sense of smell is so good, they can detect one drop of blood in an olympic sized swimming pool"" said Displays Curator Lyndsey Crawford. Visitors will also get the chance to see a daily shark target feeding demonstration and children will be able to test their knowledge and take part in a special shark quiz trail. ""At SEA LIFE we are passionate about the protection of all marine animals and want to really shout about how fantastic these creatures are. 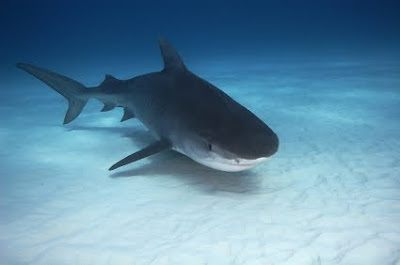 Sharks have been around longer than dinosaurs so we need to protect them"" said Lyndsey.SEA LIFE actively takes part in the UK Shark Tagging Programme and is dedicated to raising money through their Shark SOS campaign. We have our fair share of apples here in the garden at Flamborough Rigg Cottage in North Yorkshire. Katie, Meg and I love to take a nibble on the wind falls but from what I hear the good people at Nunnington Hall near Helmsley are the apple experts. On 19 October you can join Nick, Nunnington Halls Head Gardener, to explore the Hall’s orchard. 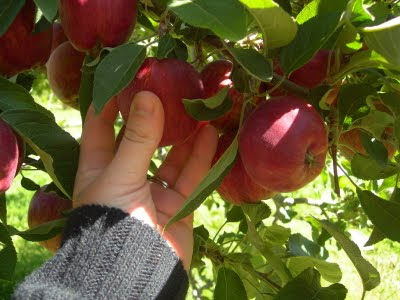 He will tell you about and invite you to taste the wide variety of traditional English apples. You will then join Nick for lunch in the tea room. Booking is essential so click here for further details. Back to our plan as to how steal one of Caroline’s lovely apple and bramble crumbles. I think I may have drawn the short straw as I have to grab the custard! As always the pesky cat has predicted another disaster. Alpacas come to North Yorkshire! Well, actually they might already be here, living in various fields throughout Yorkshire but I haven’t seen any! 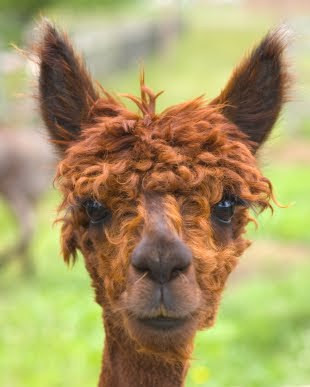 The first ever Alpaca Show in the county of Yorkshire is to be staged on Saturday the 24th October 2009. This show is organised by the Yorkshire Alpaca Group and will take place at the Thirsk Business Park. It is expected that around 150 Alpacas will take part: the very best Alpacas are expected from all over the UK. Meg and I have been discussing the pluses and minuses of convincing Phil and Caroline to add a couple of Alpacas to our family here at Flamborough Rigg Cottage B&B near Stape in North Yorkshire. They could keep the grass down but would they also nibble on all the fruit bushes that Caroline uses to make her lovely jams. Would they look cuter than us puppies, we both agreed that would be impossible? Would they mind us using them as cosy pillows at night? At the show there will be several trade stands including Peruvian and British made alpaca knitwear and alpaca hats, some from the British alpaca herd. The present herd population in the UK is now in excess of 20,000 alpacas. For more information, please contact the organiser of the Yorkshire Alpaca Show, Lawrence Waller by email lawrencewaller@btinternet.com or visit the British Alpaca Society website www.bas-uk.com. This is your last chance to see the Cook and Canada Exhibition in Whitby. You only have until 31 October 2009 to see this summer excellent exhibition at the Captain Cook Memorial Museum in Whitby, North Yorkshire. It is called: Cook and CANADA, a reputation in the making. Exactly 250 years ago, James Cook was charting the deadly shoals and eddies of the St Lawrence River. Under General Wolfe, British troops scaled the river cliffs at night and captured the French fortress of Quebec. We explore what Cook learnt, his charting of the tortuous coastlines of Newfoundland, and why he was chosen to lead the Endeavour voyage of exploration. With some of his earliest original charts and loans from major museums, the exhibition covers Cook's work on Canada's east cost, and provides a postscript with his west coast visit eleven years later. 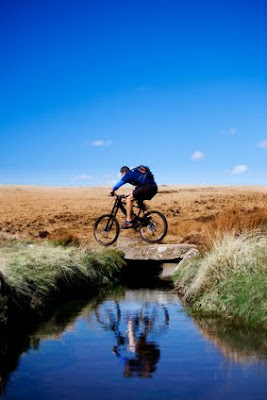 Mountain Bike Ride across the North Yorkshire Moors National Park. 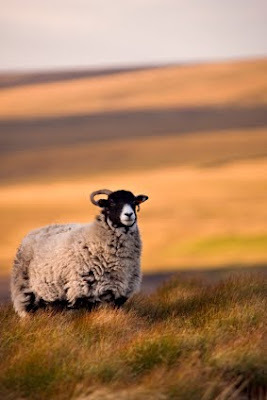 On 27 September 2009 it is possible to experience the North Yorkshire Moors National Park with an expert. The Moors Ranger, Simon Bassingale will be leading a 24 mile mainly off-road bike ride across the Moors. The route will include some challenging riding but if struggling some of the harder spots can be done on foot. Participants must be over 16 years of age and must bring along their bike, helmet (vital), food and drink. The meeting point is the western car park at Sutton Bank National Park Centre, at 10.00am on 27 September 2009. On 26 & 27 September 2009, to coincide with the excellent York Food & Drink Festival, English Heritage is turning back the clock to Tudor times at Clifford’s Tower in York. They will recreate a royal breakfast for King Henry VIII, displaying the vast amounts of food and drink he would have consumed. They will also share the secrets of Tudor cookery. The Turnstone Gallery in Sandsend will be presenting the work of Andrea and Liz Bailey from 26 September until 01 November 2009 under the heading of Paint, Fleece and Clay. Andrea Bailey finds riches for her work in the local landscape, her wild garden and collection of poultry. This is reflected in both her drawings and paintings, and more recently in her sculptures and wall hangings created in felt. Andrea is passionate about her work – and above all, for her it is fun! 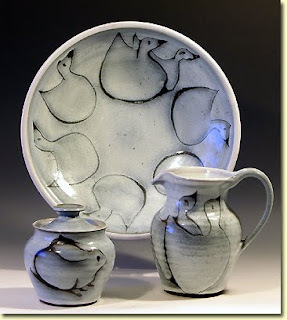 Liz Bailey is an expert thrower of clay and strives for the perfect shape that combines function with beauty. She uses an earthenware body with overlapping layers of glaze, and images (often of birds or animals) are ‘etched’ into the glazed surface before firing. Liz has developed a range of domestic ware that is marked by its simplicity, quality and functionality. To see some of their work and for further details about the exhibition and gallery click here. Tapestries of Nunnington Hall, North Yorkshire. The National Trust are inviting people to join their Regional Conservator, Caroline Rendell, to look at the wonderful tapestries of Nunnington Hall in North Yorkshire. On 28 September 2009 Caroline will talk about the history and the care of the tapestries before asking the party to join her for lunch in the tearoom. The event takes place 10.30 – 13.00 on 28 September. Booking is essential so please call on 01439 748283 to reserve a place. As part of the excellent York Food and Drink Festival there are two ‘Trade Style tastings’ where you buy a ticket, pick up a glass at the door and then walk around the stands offering tasters of the many different drinks. The Beer Fair is on Thursday 24th September at 7.30pm in the Evening Fountain Café, which incorporates the neighbouring Festival Real Ale tent featuring Daleside Brewery. Local brewers and suppliers, including, Wold Top, Richmond and Great Heck will be showcased alongside continental specialist such as La Place Verte. 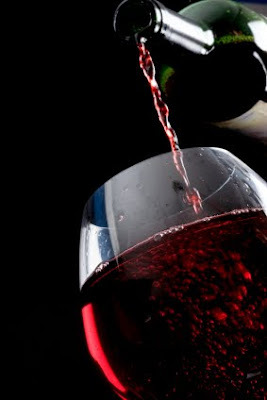 The Wine Fair, Saturday 26th September, in York Guildhall has two sessions: from 12pm and again from 6pm. Over 14 stands will be offering tastings including local suppliers such as HC Wines, Premier Vintners and Concept Fine Wines. Tickets can be booked now through the Festival ticket line on 01904 466687 at only £15.00. The National Trust ask for help at Robin Hood’s Bay. The National Trust in association with the Marine Conservation Society are looking for volunteers to help collect the litter that gets washed ashore on to our beautiful beaches each year. I am not sure we puppies are allowed on Robin Hoods Bay beach at this time of year but we will be sure to send Phil and Caroline on our behalf…….they can set about helping to clear the beach from the slipway to Boggle Hole. 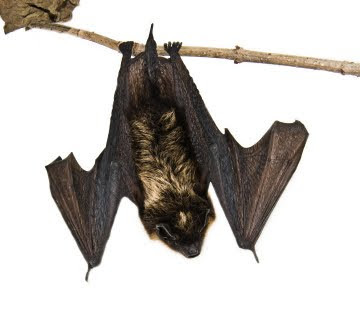 On 27 September you can join the experts at the Moors National Park Centre, Danby to learn how to make a Bat Box and learn about bat detectors before setting off on a guided bat walk. The event is recommended for any one over the age of 5. The walk and bat box is £6 or just the walk is £2. Children walk for free. Don’t forget your torch. Scarborough Jazz Festival 18-20 September 2009. 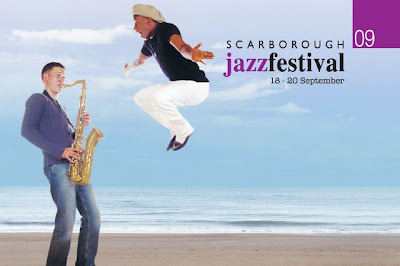 The cream of UK and American Jazz will descend on Scarborough Spa, North Yorkshire this coming weekend, 18 – 20 September 2009 for the Scarborough Jazz Festival. American Jazz stars will include Kyle Eastwood, Steve Grossman, Ken Peplowski and Mike Janisch. Andy Panayi and Alan Barnes have been commissioned to compose ‘Jazz: The British Story’ which celebrates the quality and uniqueness of music in the UK. Events take place all weekend with free concerts on the Friday afternoon. For the complete programme click here. Art Course at Castle Howard 19 September 2009. The focus of this art course, the eighth of the year at Castle Howard, will be a study of Birds and Buildings. The course will be overseen by Ronald Falck. The course is suitable for all levels. The course is for leisure and enjoyment with a tutor available for advice when needed. Beginners will have a structured input at 11.00am to influence a direction of approach. Artists can draw the buildings and confront perspective problems, then add colour and wash. Or work from stuffed birds in the studio in pastels, as drawings, or even paint them in any medium. For further information or enquiries, please telephone the tutor: Ronald Falck on 01262 401334 (studio). 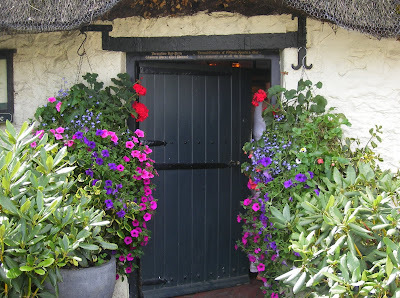 One of our favourite places…….Star Inn, Harome. Well, when I say our favourite, it is actually Phil and Caroline’s favourite local place to eat. They don’t seem to do a menu for us puppies! 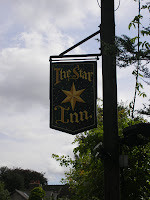 The Star Inn is located in the pretty village of Harome just outside of Helmsley, North Yorkshire. This Michelin stared pub restaurant is home to the chef Andrew Pern and his wife Jacquie. The Star received its Michelin Star in 2002 and has been winning awards and accolades ever since. Deservedly so according to our resident foodies. This year has seen the restaurant expanded and a wonderful kitchen garden with seating opened for summer dining. If the restaurant is full it is possible to eat in the atmospheric pub, complete with roaring fire. Andrew Pern takes the traditional and gives it a modern twist, not that we would know as there are certainly no doggie bags heading our way. The forests around us here at Flamborough Rigg Cottage B & B, Stape, are full of interesting looking fungi in the autumn but our lack of knowledge has meant that, even us Labs who are known to eat everything, have avoided scoffing them but that may be about to change. There are a couple of Fungas foraging events locally that we can join so we will know what tasty forest morsels to go for. On 26 September 2009 from 10.00 – 12.00 the North York Moors National Park Authority are inviting people to join them on Grimston Moor that allows you forage for mushrooms in the woods while also learning about the local geology. 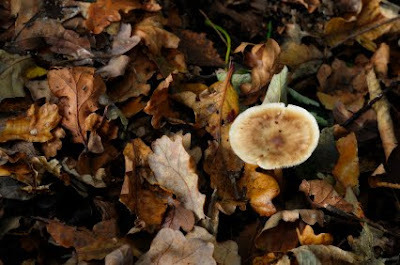 On Sunday 4 October we could join the Forestry Commissions excellent wildlife rangers in Dalby Forest, North Yorkshire, to learn about the many types of fungi that grow in the forest. They have even said that us dogs are welcome, they obviously need our foraging expertise. The meeting place is the Haygate and the event takes place from 14.00 – 16.00. On 19 and 20 September English Heritage at Mount Grace Priory invite visitors to discover the ancient and noble art of archery as 14th-century archers entertain you with thoroughly interesting display. Plus, there's an opportunity for the family to have-a-go at archery with the master archers - Arrowflight. Art on Sutton Bank 13 -22 Sep 2009. The North York Moors National Park Authority are presenting a collection of some of the best art and craft work in the region under the banner of Brigantia at the Bank. 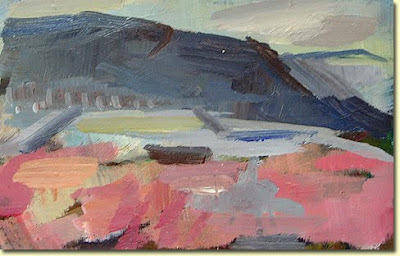 The work is created by a group of talented and versatile local artists. The work will be displayed from 13 – 22 September 2009 at the Sutton Bank National Park Centre. Everyone is paying homage to us beautiful Chickens in North Yorkshire. There are a couple of events during September to appease those people not lucky enough to have gorgeous hens living in their gardens. The courses give participants the opportunity to create chickens from willow and chicken wire. I wonder if they need some models, the girls and I love a day out to strut our stuff? Willow Chickens and Cockerels 11 September. At the Moors National Park Centre, Danby, they are running a course from 10.30 - 16.00. Experts are on hand to show participants how to use willow to weave a bird, life-size or larger, to make an attractive feature and talking point for a garden which doesn't need to be locked in at night. Participants are encouraged to bring a packed lunch or can visit the centre’s tea rooms. Making Wire Chickens at Scampston 15 September. On Tuesday 15th September 2009 the lovely people at Scampston Gardens near Malton,North Yorkshire, are running an exciting course where humans can learn to make beautiful wire chickens for their garden. 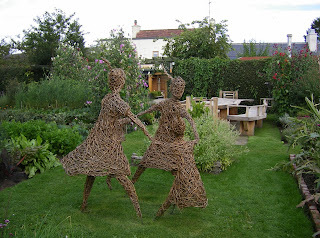 The expert tutor Susan Nichols will help her pupils turn a roll of galvanised chicken wire into a solid and sturdy sculpture, designed to look impressive and to last for years in your garden. 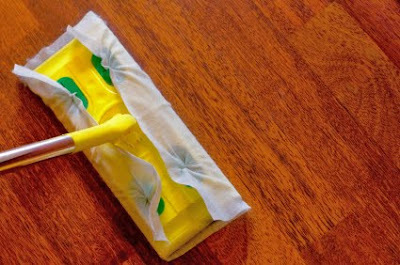 Participants must bring along heavy duty gardening gloves, a pair of needle-nosed pliers and either a heavy duty apron or a piece of canvas or leather to cover your lap. The course runs from 09.45am-16.45pm. The day includes coffee on arrival, lunch and materials for one chicken. Earth, Fire and Water – Danby, North Yorkshire. 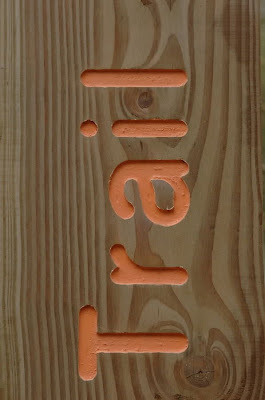 From 5 – 15 September 2009 the Moors National Park Centre, Danby is home to an exhibition titled Earth, Fire and Water. Peter Hough presents an exhibition of ceramics and sculpture influenced by the landscape and wildlife of the North York Moors. Peter Leeming showcases his exhibition 'Haunted by Waters' - a photographic celebration of the River Derwent through the four seasons. 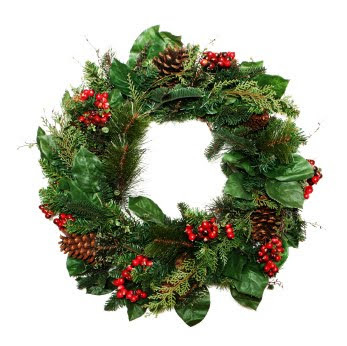 Castleton and Danby Floral and Horticultural Society Annual Show - 12 Sep. If you want to experience a traditional North Yorkshire village show I would recommend the Castleton show in the Esk Valley, North Yorkshire on 12 September 2009. 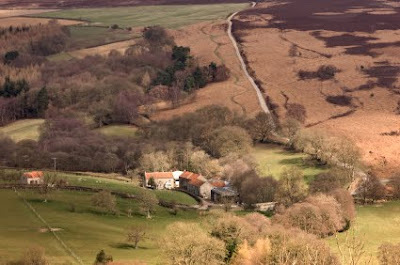 The village is in the North York Moors National Park. The show attractions include craft stalls, tombola, raffle, Downe and Outs Jazz Band, classic and vintage cars and motorcycles, vintage engines, motorcycle trials display, ferret show, children's foot races, free face painting, tug-of-war, birds of prey, local childrens Salsa Band, terrier show, lurcher show, ferret show and the pony sports. Competition categories include the following (with 172 individual classes! ): fruit & vegetables, flowers, handicrafts, art, dairy produce, floral art and photography. One of the highlights of the show is the Castleton Show Run, a road race of approximately 10k or 6 miles, which starts and finishes at the Castleton Show Field. The race is organised by members of North York Moors AC. The race route traverses minor roads in a circular manner via Dibble Bridge, the ford at Hob Hole and the village of Westerdale. The show field opens 12 noon and the tents open at 1pm. Admission £2.50 adults (including car park), £1 OAP, £1 children. What appeals to me most about the show is that I have seen no mention of a Labrador category so those crazy puppies won’t spend from now until 12 Sep practicing their tail wagging and cute walk! Rally Yorkshire takes place in Dalby and Cropton Forests 26 Sep 2009. The Trackrod Rally, organisers of Rally Yorkshire, offer a range of individual events within the overall umbrella, meeting the needs of competitors from contenders in the British Rally Championship through to those in the regional clubmans’ championships. The Pickering-based rally will take in the North York Moors forests of Cropton and Dalby, on Saturday, September 26. The highlight will be the 16 mile stage over the classic forest tracks of Dalby forest. The start and finish of all events is at Pickering Showground along with the Super-Special Stage. Central service is also at the Showground which the competitors visit during the event. 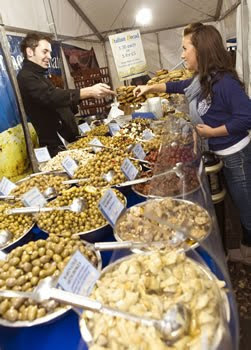 This amazing food and drink festival is set to take place once again in York from 18 to 27 September 2009. The year the chosen theme for the event is Crude Food, referring to natural, raw, simple or unadorned food. Tickets for various events throughout the festival are now on sale. 1. 10 Days of quality led markets. Yorkshire produce stands, plus visiting wine and other guest stands, include an active smokehouse presentation integrated into the show, and lots of 'Yorkshire ethnic foods' from the Indian sub-continent, to Malaysia, Turkey and Ghana (These are ethnic recipes but using Yorkshire Produce). 2. A diverse daily programme that always includes, an introduction to wine, a comparative food 'taste workshop', a cocktail demonstration and cookery demonstrations. Demonstrators at the Festival include Andrew Pern, (The Star at Harome), James Mackenzie (Pipe and Glass), Stephanie Moon, (Rudding Park), and Michael Hjort (Melton's Restaurant). 4. A Dedicated Chocolate Fair on Sunday 20th: will include a range of chocolate stands, tutored tastings, demonstrations and hands-on workshops. The day culminates in a true celebration of chocolate at a Chocolate Dinner in York's Guildhall. 5. A Drinks Programme including a walk around wine fair (Saturday 26th), a Whisky Festival (Saturday 19th) tutored wine and food meals at quality York Restaurants including the Lime House (Portugal Thursday 24th) and Melton's Restaurant, (California Sunday 27th) Other themed tutored tastings include ""Wine and Christianity"", Burgundy, Spain and a Champagne tasting led by Yorkshire Post wine critic Christine Austin. 6. Regional Real Ales: The Festival links up with Daleside Brewery to run the Festival Ale tent situated among the markets. The Ale tent is the starting point for the Festival Ale Trail, taking you around 12 Real ale pubs and the reward - if you needed any other! - of a Daleside T-shirt for those who finish. For the first time York CAMRA are running their Ale Festival to co-inside with the Festival (York Knavesmire 17th to 19th). 7. Fountain Cafe. Alongside the Ale tent, the Fountain Café hosts a Beer Fair (Thursday 24th) On other evenings the Café links up with local charities to run simple two-course dinners. Those involved include, Mare Cure and Macmillan Cancer, Brunswick Organic Nursery (they provide work for adults with special needs) and the Aegis Trust, who provide solar powered cooking equipment for refugee camps in Darfur. 8. Foraging As part of the Crude Food theme, the Festival runs Foraging courses in the city (Wednesday 23rd) and a day trip to the coast. (Coach travel included to the Yorkshire coast, Thursday 24th). 9. Chefs & Producers day on Monday 21st. An opportunity to see local producers and chefs from the region, working together on stage, to produce great dishes. Lunch is included in the day and the producers also have stands around to hall for further sampling etc. Also an opportunity here to vote for the Yorkshire Post's 'Taste of Yorkshire' readers' Award. 10. Taste Workshops with Slow Food North Yorkshire. A daily opportunity to learn more around the great quality of regional produce, try seasonal apples and tomatoes, organic breads and flours, honey and cheese. For full details about the festival click here. As part of a series of talks held at the NRM 'How a Steam Engine Works' explores the amazing and very complicated workings of a Steam Engine with the help of a full size sectioned locomotive. The Museum's Explainer Team will take you through each step of how a steam engine works from lighting a fire, to creating steam, to using the steam to move hundreds of tons of metal, freight and passengers. The locomotive its self is a fantastically re-built sectioned engine showing in detail the main components needed for a working steam engine and how they all work in unison. The talk will begin at 16.10 outside Ellerman Lines locomotive in the Great Hall. For information about the National Railway Museum click here. Flamborough Rigg Cottage B&B, Stape, in full bloom. Hi,it is Lily here the little yellow Lab. I am curled up in my basket feeling sorry for myself, nursing my wound, well really a sting. Payne the pesky cat is grinning and making “I told you so” noises! Here at Flamborough Rigg Cottage B&B, in Stape, North Yorkshire, the gardens are in full bloom. There are so many sweet smelling and pretty flowers. That also means that the garden is full of beautiful butterflies. While my sisters Meg and Katie were snoozing I was having a brilliant game chasing the butterflies, they are pretty fast. When they landed I would use my special puppy skills to sneak up on them, nudging the flowers with my nose to make them fly………..what I didn’t think about were the wasps and the bees. I now know that wasps and bees are even grumpier than Payne! I wonder if Caroline has a plaster for my nose? On Saturday, 29 August 2009 and Sunday, 30 August 2009 Endeavour Wharf in Whitby will be transformed and will play host to a Food Hall, Food Theatre and an array of entertainment - with live street theatre, acoustic music, and entertainment for all the family. 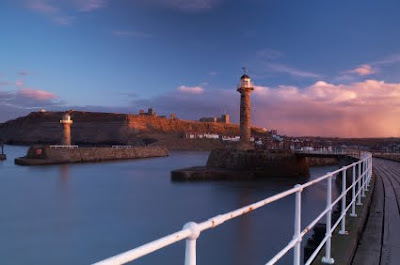 The event is a celebration of what Whitby is all about - its heritage, its vibrant fishing industry and the stunning coastal location. Dozens of specialist food producers from across the Yorkshire Region will showcase their high quality and varied produce in the Food Hall.TV Celebrity chef, Ed Baines will be taking centre stage in the Food Theatre. Ed is currently one of the judges of ITV 1’s hugely successful ‘Britain’s Best Dish’, and has recently filmed ‘Taste the Nation’ for ITV 1 and ‘Put Your Money Where Your Mouth Is’ for BBC 2. Also on the celebrity chef line-up is National Seafood Chef of the Year 2009, Rob Green, chef/owner of Green’s Restaurant, Whitby, as well as the inspirational Tutors from Bettys Cookery School. 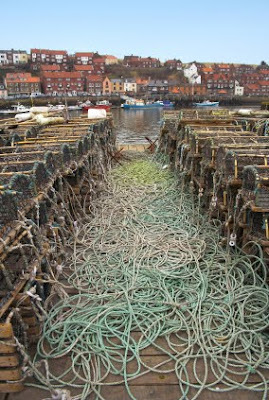 Head along to Whitby this weekend to taste the best of Yorkshires seafood. Castle Howard plays host to up and coming Yorkshire Artisans. Over the coming bank holiday in the Stable Courtyard at Castle Howard up-and-coming Yorkshire-based designers and artisans who will be selling high quality ceramics, textiles, jewellery, sculpture, paintings and fashion. This is an excellent opportunity to purchase some unique pieces of art, jewellery or clothing. The designers and artisans are all connected to Artsmix a Leeds based non profit making organisation created to encourage and provide sales platforms for Yorkshire based art projects. The event takes place on 30 & 31 August 2009 from 10.00am until 4.00pm with free admission. Helmsley walled garden in North Yorkshire in full bloom. 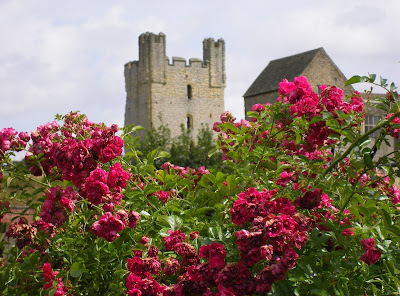 We strongly recommend to our guests here at Flamborough Rigg Cottage that they visit Helmsley Walled Garden in the pretty market town of Helmsley in North Yorkshire over the coming weeks as it is truly a treat for the senses with a glorious array of colour and scents. The garden boasts long beds of hot summer colours, an area that combines grasses and lavender to great effect and an exciting mix of fruit trees and climbers along the walls. 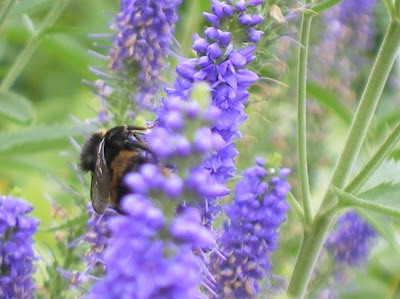 As well as lucky visitors the garden also attracts hundreds of butterflies and bees. To see the garden at its best plan a visit soon. Whitby Regatta 22-24 August 2009. Once again, what is probably the world’s oldest sea regatta is to be held in Whitby, North Yorkshire. All three days are crammed with activity including yacht racing, rowing races and a host of entertainment culminating in Grand Parade with floats and a spectacular firework display on Monday 24 August 2009. The yacht and rowing races will take place across the weekend. There will be air displays by Air Sea Rescue, the Red Arrows and vintage aircraft. There are daily Army, Navy and RAF displays. A highlight for many will be the motor cycle and quadbike gymkhana. Puppet shows, bouncy castles, trampolines, clowns, fancy dress competitions, face painting and treasure trails will keep the children busy. We have just had the very energetic Horton family staying with us. Mum, Dad and the two children, Josh 14 and Sarah 11 stayed in the Hayloft here at Flamborough Rigg Cottage for a week and the grandparents, David and Anne stayed at the B&B for 4 days. One of the reasons for visiting North Yorkshire, as the Horton family love cycling, was to explore the Moor to Sea cycle route. The whole family rode the 18 miles from Scarborough to Whitby along the disused railway line. The route takes in Ravenscar, Robin Hood Bay (where they stopped for lunch) and then over the amazing Larpool viaduct into Whitby. On another day their grandparents dropped the family in Pickering with their bikes so they could ride the 7 miles of the trail from Pickering to Low Dalby and if that wasn’t enough the family then rode the excellent trails laid out by the Forestry Commission in Dalby Forest! 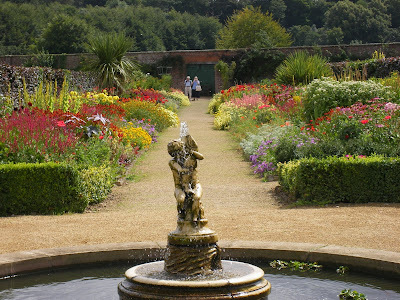 David and Anne chose a more sedate visit to Scampston Walled garden collecting the family from Dalby forest enroute back to Flamborough Rigg cottage. They promised that they will be back to more of this 80 mile route in the Autumn…..for now they have gone home for a rest. Obviously I can’t ride a bike which is a shame as they said it was brilliant! Maybe Phil could get a trailer on the back of his bike to pull along Meg, Lily and I.